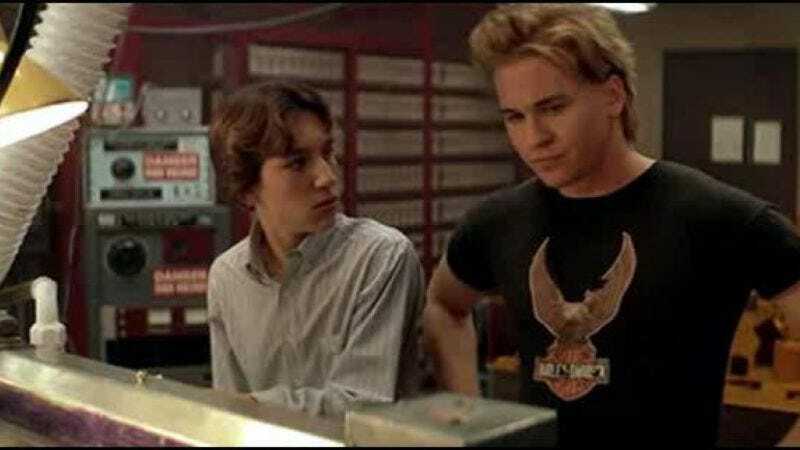 In keeping with the movie’s theme of brilliant inventions being adapted for questionable purposes, the 1985 comedy Real Genius is being “rebooted” as a modern workplace sitcom on NBC. Deadline reports that Adam Sandler’s Happy Madison production company and Workaholics’ Craig DiGregorio and David King have reworked the very ’80s movie about lasers and getting laid into a show set in the present day. It will concern a “rock star-like genius”—similar to Val Kilmer’s prankish, priapic physics stud—and his far meeker co-worker, in an industry that’s yet to be specified (but is presumably not a technical university populated by horny nerds). And while that basic character relationship seems like it could be applied to pretty much anything—maybe even an original concept—like the epiphany that it is possible to synthesize excited bromide in an argon matrix, producers similarly realized that it’s possible to synthesize excitement through name recognition. Of course, with the fuel of “a Real Genius reboot,” the excitement would last for, what, about 15 seconds—which leads to the question of what you would use that for.